Originally posted: February 16, 2019 . Last modified: February 16, 2019 . 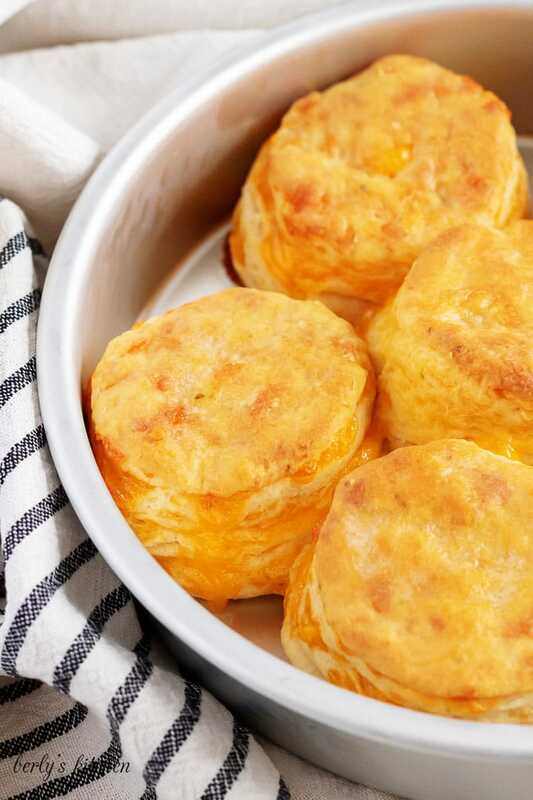 Our Jalapeno Cheddar Biscuits are flaky, tender, buttery, and cheesy. These biscuits go from prep to plate in less than 30 minutes and are SO EASY to make. From time to time, Kim and I love to go back and update our recipes. Sometimes, it’s just to make a few changes so they’re more SEO friendly. Other times, it’s because we received some feedback and people are having troubles with the original recipe. Fortunately, these cheesy jalapeno cheddar biscuits aren’t being reviewed for quality. The recipe is still just as good today as it was back July of 2016. The post just needs to be refreshed. 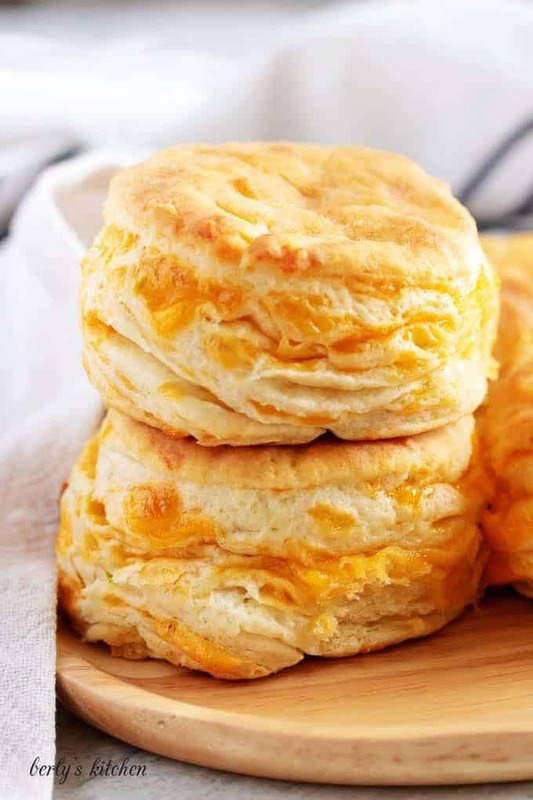 The cheddar biscuits were originally based on our buttermilk biscuits. If haven’t tried the buttermilk version, I recommend doing so. I doubt you’ll ever eat store bought biscuits again. Especially, once you master baking them in your own kitchen. There are little differences between the jalapeno biscuits and the originals. Other than the cheese and peppers, the two recipes are pretty much identical. I cannot decide which version is my favorite. I suppose it depends on the situation. For example, when I want a savory dinner bread, then I use these cheese biscuits. When I’m craving a biscuit with butter and jam (or honey), then I make the buttermilk ones. In the end, it will be up to you to decide which variety you prefer. Which, you can’t do until we get started. So, without further delay, let’s get in the kitchen! Preheat the oven to 450 degrees and prep a silicone mat, baking sheet, or an eight (8) inch cake pan. Get all the ingredients out and measure them appropriately so they are ready to go. You may even want to cube the butter and keep it in the fridge until you need it. According to the instructions and pictures, we used a food processor. You don’t have to use one. 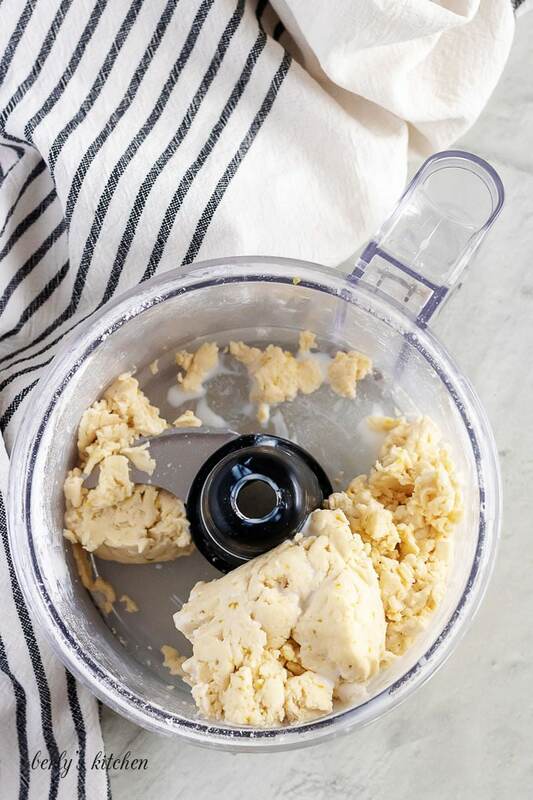 A mixing bowl, whisk (for the dry ingredients), pastry cutter (for the butter and jalapeno step), and a wooden spoon (for the rest of the wet ingredients) works just fine. However, it does take some, “elbow grease,” to get it done. In your food processor, combine the flour, baking powder, and sea salt. Use the pulse button one (1) to two (2) times. Or your whisk if you’re using a bowl. You get the idea, get them good and mixed. Afterward, add the cold butter and jalapenos to the flour mixture and quickly pulse four (4) to five (5) times (or use the pastry cutter). If you look at the picture above, the mixture should resemble a coarse cornmeal. Even though, it’s important not to over pulse, you still want your ingredients mixed properly. Moving on, slowly add the buttermilk and continue pulsing (or stirring with a spoon) until the mixture is slightly sticky. On the chance you need more buttermilk, I recommend only adding it 1/4 cup at a time, combine, check again and add more if needed. 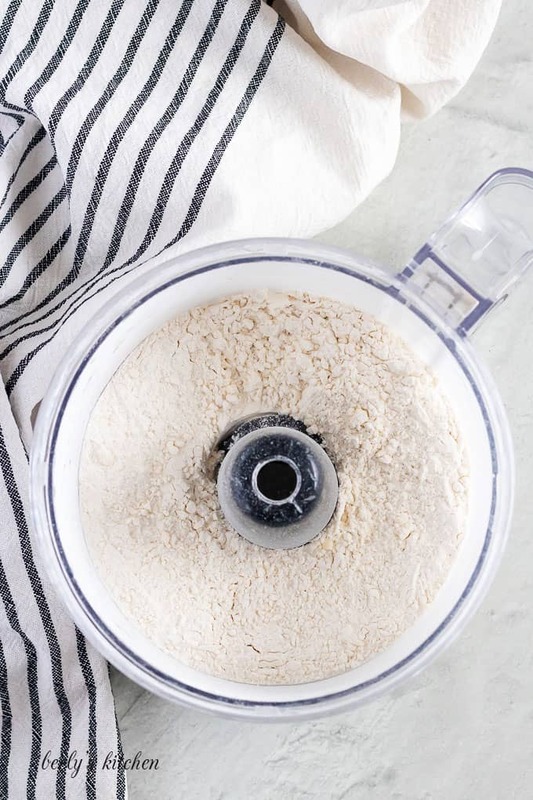 Scrape out your food processor and place the dough onto a well-floured surface. At this point, you’ll want to gently pat the dough into a layer and sprinkle a handful of the shredded cheese across the top. Now, fold the dough in half over itself and gently pat it out again. Repeat this same process over and over again until you have folded in all the cheese. Trust me, this is the best way to make cheese biscuits. 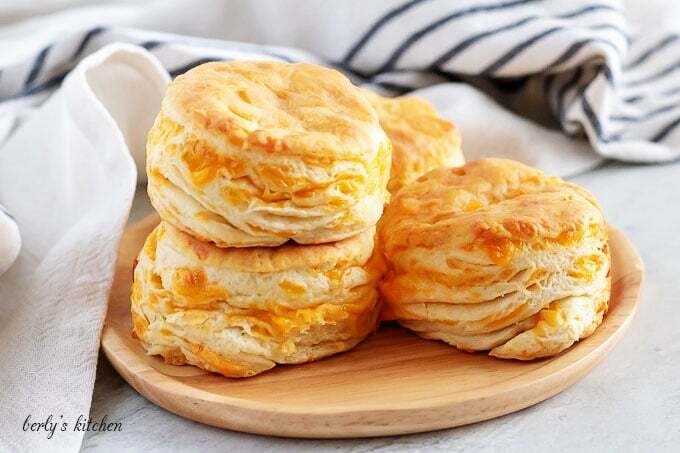 In addition, folding the dough over on itself forms flaky biscuit layers with cheese in every bite. After you finish the final fold, press the dough into a layer about 3/4-inch to 1 inch thick. Go ahead and use a round biscuit cutter (dipped in flour) to cut out your biscuits. If there is any dough left, quickly fold the dough in on itself and cut any remaining biscuits. When you have all seven (7) cheddar biscuits ready, arrange them in a prepared eight (8) inch cake pan or baking sheet. You can leave space between them if you want. Place the baking sheet in a preheated oven to bake for 10 to 12 minutes. The biscuits should puff up and brown slightly on the tops. They will still feel soft in the center but shouldn’t be doughy. Now, it’s time to remove from the oven and serve immediately. One other thing you could do is melt a tablespoon of unsalted butter and use a brush to apply the butter. Just a little added flavor to the finished product. 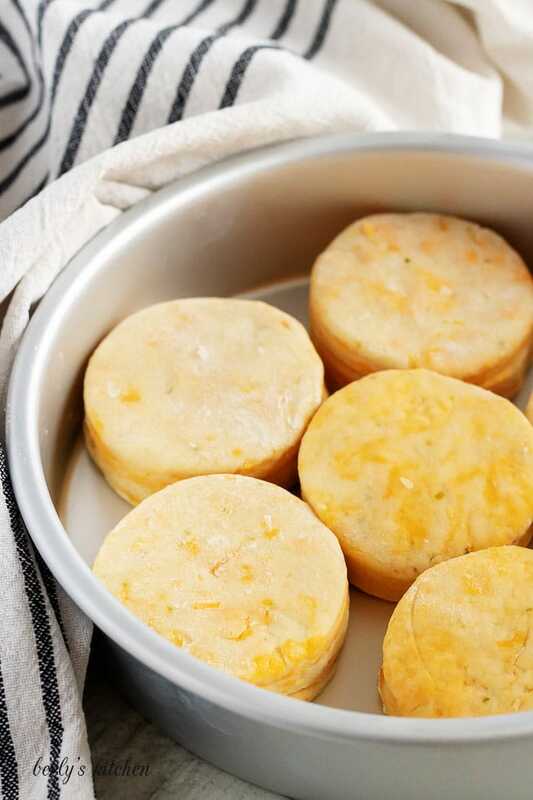 The quality of cheese you use will make a difference in how the jalapeno cheddar biscuits bake. Choose a good quality cheese that is made with real dairy and is not oil based. 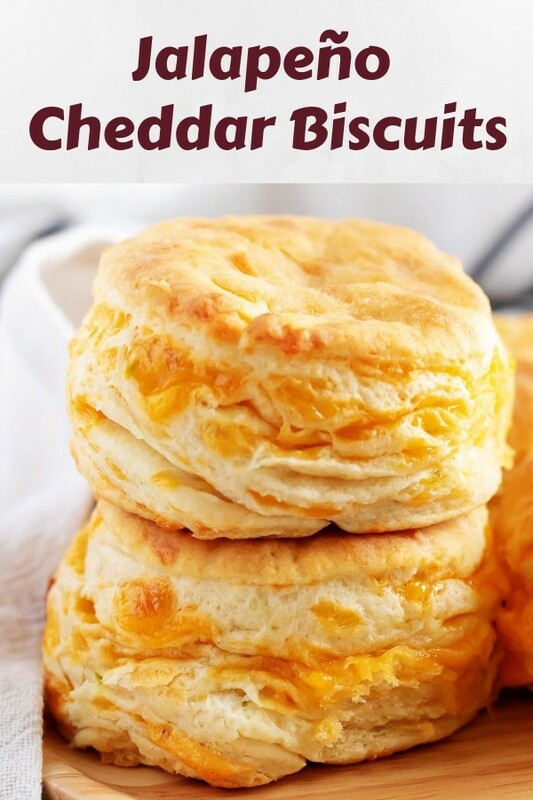 If the cheese contains mostly oil, it will melt into the biscuits and change how they bake. Additionally, I highly recommend using aluminum free baking powder. If you can’t buy it in your local supermarket, you can purchase it on Amazon. It’s called Rumford Baking Powder. Sometimes baking powder with aluminum can leave a bitter aftertaste that overpowers baked goods. I’ve found that it’s best to use aluminum-free whenever possible. Another tip, when using a food processor, keep in mind the motor may get warm. As a result, it could melt the butter. That’s the last thing you want. So, I recommend only using the pulse option. Give the motor time to rest and subsequently, cool off between ingredients. Dip your biscuit cutter into the flour between cuts. Whatever you do, don’t twist the cutter. 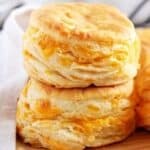 It will cause the dough to, “pinch off,” the edge of each cheese biscuit. When that happens, your jalapeno biscuits will not rise and end up looking like hockey pucks. If you like this jalapeno cheddar biscuit recipe, please leave us a comment and rate the recipe card. You can also find us on Facebook, Pinterest, Twitter and Instagram searching for Berly’s Kitchen! 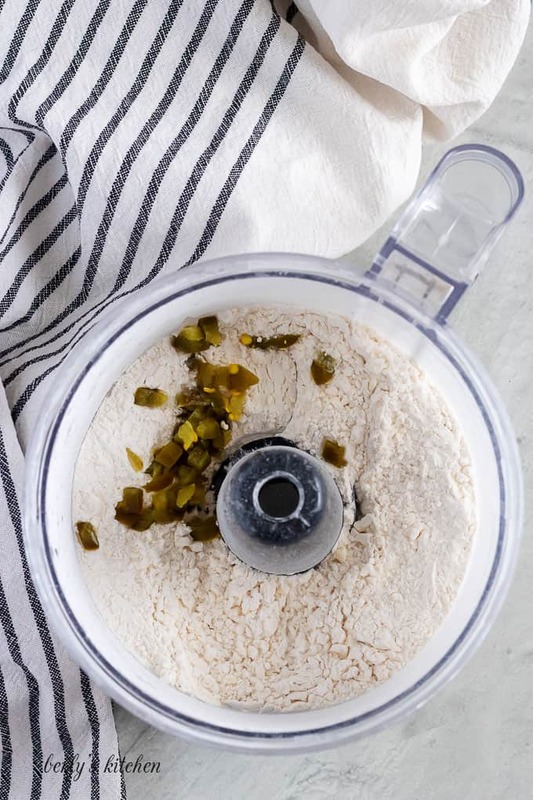 In a food processor or large bowl, combine flour, baking powder, and salt. Pulse a few times to mix. Add cube butter and jalapenos to dry ingredients and pulse until well combined. Flour mixture will resemble a coarse cornmeal. Remove dough from processor and place on a well-floured surface. Pat into a flat circle. Place some of the shredded cheese on top of the dough. Fold in half on top of itself and pat flat again adding cheese each time. Repeat this process until all the cheese is gone. Shape dough into a rectangular shape about 3/4 inch to 1 inch thick and use a biscuit cutter (dipped in flour) to cut the biscuits. You may not get seven (7) the first time. Fold the dough again, if needed, to get the rest of the biscuits. Place biscuits on prepared eight (8) cake pan. baking sheet, or silicone baking mat. Place in oven for 10-12 minutes or until golden brown. The calories listed are an approximation based on the ingredients and a serving size of one (1) jalapeno cheese biscuit. Actual calories will vary. The biscuits can be stored in a sealed container on your counter for up to three days. These look good! I love jalepeno flavored foods! Thank you! Kim does a great job with baking. I will share your comments with her and I know she will be excited. Thanks again for commenting! Yum! Totally craving these with alllll the butter. Thank you, Denisse! Isn’t always that way? See something you like and suddenly you crave it lol! Yum! Jalapeno and cheddar are so good together! And the pictures are beautiful as always Kimberly! The pics practically make me taste this. 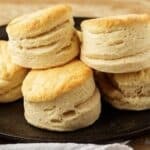 I love an easy biscuit recipe! Great flavor combo! Spice, cheese and carbs my three favorite things!! Thanks for sharing!! Going to make these soon! Thank you, Leah! LOL! I know exactly what you mean 🙂 Can’t go wrong with cheese, peppers, and bread. Those look absolutely delicious!! They are a MUST MAKE! Ooo! I love all the cheese! Folding it over so it’s in every bite — brilliant! Love the added jalapeno, too. These look fab! Since starting my third trimester, I have been craving biscuits like crazy!! I have a feeling I will be making these this week. Thanks for sharing the recipe!! Ooh those look SO good!! I have a weakness for biscuits and anything jalapeno chedder so this like a dream come true! Yum!! Those look so good! These biscuits sound amazing! I love the combo of jalapeno and cheddar. This recipes screams “comfort” and toasty warm goodness. Thanks!